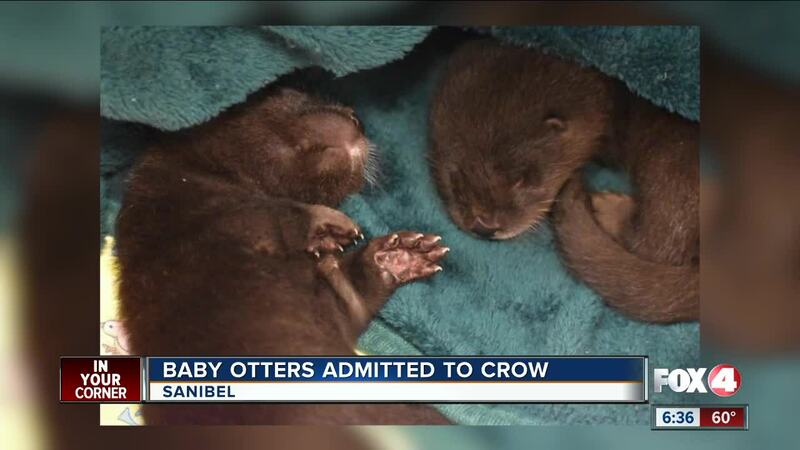 PUNTA GORDA, FLa. — The first baby North American river otters of the season arrived at crow today! These two youngsters, one boy, and one girl were found in a construction area in Punta Gorda after it was bulldozed. The mother was nowhere to be found. They were taken to the peace river wildlife center until they were stable enough to transfer to crow for long term care. Baby otters require long term care until they are old enough to survive on their own.